*~In Womb versus At Death~ * | A Rare Flower*s Pad! ~I read something in French like this 'discussion in the womb' one day and as I was reading along, I had an inspirational moment of realization that when I was in the womb of my mother before delivery, it could be just the very same as in the womb of the Earth before delivery into "HEAVEN" at my death! Before reading this 'discussion in the womb' I have, many times, thought about this definitive moment of my life, at the end of my life/our lives here on this Earth, and this 'discussion' is the most straight forward and factual human thinking I can ever get close to making sense of dying and going "into" Heaven that I could come up with. It is so straight forward and real it just blows the mind, and it is so because we, each one of us on this Earth, we are 'living what those twins never saw, never lived', and we know the truth, and the answers about what they are discussing in the Womb! And so, my dear sisters and brothers of the Earth, after this reflection below between the two twins in the womb, I imagine, I say, and I can be brave enough to add, I now know, for a fact, that, there is LIFE after we are 'delivered at death' into HEAVEN! Why would a Loving Father born us on this Earth, 'delivered from the womb', to just let us die of this Earth? No, we do not just die of this Earth, when we will leave It! We will be 'delivered', yes, delivered back to the FATHER, where we belong! At Jesus' death, He was 'delivered' back to His FATHER "IN THE TOMB"
(that is the Earth's womb). 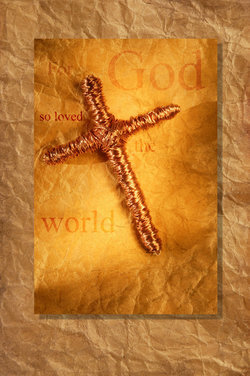 Yes, now I am convinced that when I will die of this Earth it will mean that I will be 'delivered' back to my CREATOR! 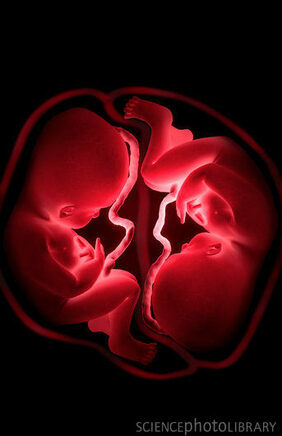 The FETUSES Twins Ultra Sound are my own GRANDS Angels in HEAVEN! ~ Now, I pray that you have come to believe this fact also. thousand of thing to live ..."
that He feeds us of Himself"